Tag Archive | "Dealer Profile"
You don’t have to own a Jeep to sell them, but Rich Harward wouldn’t have it any other way. Throughout his 25-year auto retail career, the past 12 of which have been spent with the Schumacher Family of Dealerships, Harward has always invested in the products he represents. Schumacher acquired its Delray, Fla., Chrysler Dodge Jeep Ram dealership in October 2015 and put Harward at the helm as general manager. Since that moment, the former U.S. Marine and longtime Jeep admirer has been “fully immersed” in the brand. Pull onto the lot in Delray or in North Palm Beach, where Harward is GM of Schumacher’s Buick GMC Chevrolet Volkswagen store, and you might spot a lifted and heavily customized 2018 Wrangler in OD green. That’s his. Jeep Sales Managers Seth Gray and Rob Piekielski. Harward’s own career began somewhat inauspiciously. In 1994, shortly after leaving the Marine Corps, he took a friend’s advice and joined the sales staff of a Chevrolet dealership in his native South Carolina. Clearly restraining himself, he describes the state of automotive sales training at that time as “rough,” having been equipped only with a phone, a desk and a few product books. Falling back on his military training, he resolved to follow instructions and be regimented in his approach to the job. He had the support of management and the example set by experienced salespeople, but he realized true success would require an entrepreneurial mindset. Harward says he quickly came to enjoy the work and the family-owned dealership, where he would remain for more than nine years. After spending two years in law enforcement, he returned to automotive, serving as general sales manager and then general manager at an independent dealership in Greenville, S.C., before getting the call from Schumacher. Dealership training has come a long way since 1994, and Harward has made good on a promise he made to himself in those early days. Ken Cadmus is general sales manager for the Schumacher group, whose daily inventory of new and used Jeeps averages up to 300 units. The Schumacher group is highly diversified. Both of Harward’s dealerships sell new Volkswagens. The Chrysler-dominant Delray location also has Subaru and Lincoln franchises. The North Palm Beach operation includes a pre-owned center. That’s a total of roughly a dozen businesses in two locations, but Jeep is hardly lost in the shuffle. 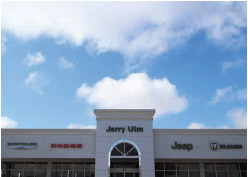 Schumacher Chrysler Dodge Jeep Ram is one of the biggest Wrangler dealers in the state, and Harward reports total monthly Jeep sales are in the 100- to 125-unit range — up from 70 to 80 under the previous ownership. Harward’s secret sauce is a massive inventory — averaging up to 300 Jeeps on any given day — and a matching investment in the brand. The Delray service shop stocks a long list of Mopar parts and accessories, and technicians stand ready to lift, modify and customize a Jeep to match its owner’s vision. 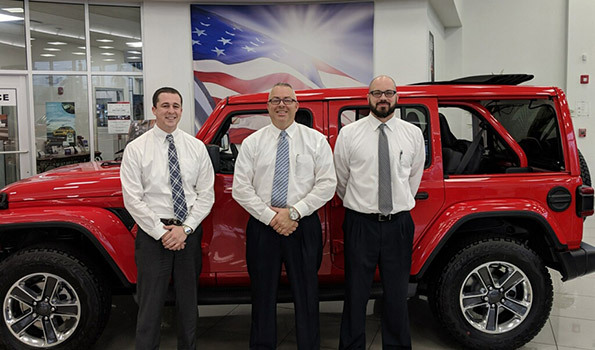 Harward’s Jeep sales managers are Seth Gray, a former fellow Marine, and Rob Piekielski, a died-in-the-wool Jeep enthusiast. And Harward, Gray and Piekielski do more than talk the talk. 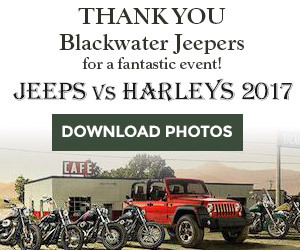 In June 2018, the dealership hosted its first annual Jeep Show & Competition, which drew hundreds of enthusiasts and spectators and included a raffle of donated Jeep accessories that raised $7,500 for Forgotten Soldiers Outreach. Harward says his team is already in the planning stages for a follow-up event. But he stresses that Jeepers need not wait for the next event or even their next purchase to pay a visit to the store. 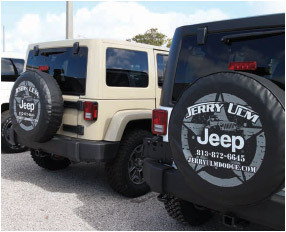 Whether you want to buy a rig or sell one, Jeep owners are always welcome at Delray. Like most Jeep dealers, Harward credits the 2004 introduction of the four-door Wrangler “Unlimited” (now JL) with attracting greater numbers of car buyers — including those with families — to the brand. But a longer wheelbase and a couple extra doors are not the whole story, he adds. The manufacturer and its dealers had to break through several decades’ worth of misconceptions surrounding the Wrangler, an enduring American classic that was nonetheless once widely perceived as a novelty. Until then, Delray’s Jeep customers have plenty to choose from. Harward says all Jeepers, whether off-roaders or daily drivers, tend to bring an encyclopedia’s worth of product knowledge to the store. Some dealers and sales professionals might be intimidated by that. Harward and his team are not. Informed customers are the best kind, he says, and if they’re greeted with equal parts respect and enthusiasm, they’ll remain with the right dealership for the long haul. 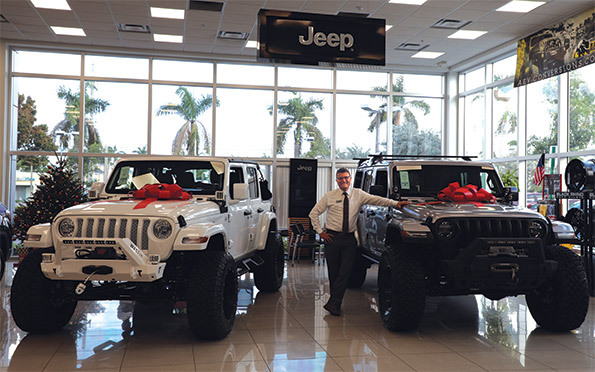 Richard “Rich” Harward is a Jeep enthusiast and the general manager of two dealerships in the Schumacher Family group, including its Delray, Fla., Chrysler Dodge Jeep Ram store, which is among the region’s largest-volume Wrangler dealerships.